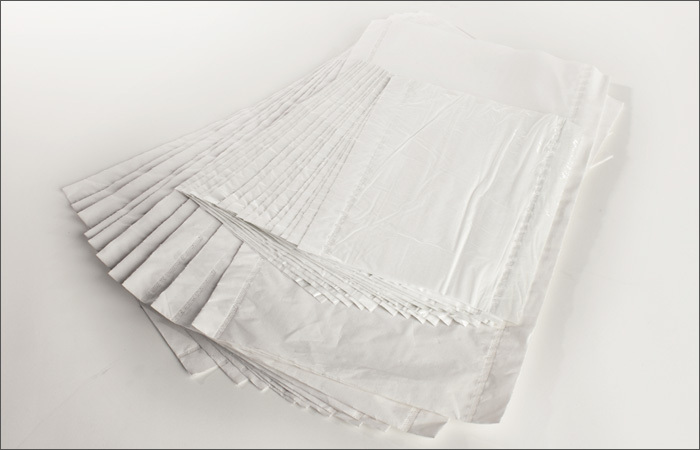 Manufactured with 6 to 20 plies of tissue and 1 ply of poly. Used in the packaging of asparagus for hydration. The applications for poly backed pads can include other vegetables like celery, along with hydration for live plant shipping, moisture and condensation absorption, and moisture protection. Custom sizes available.